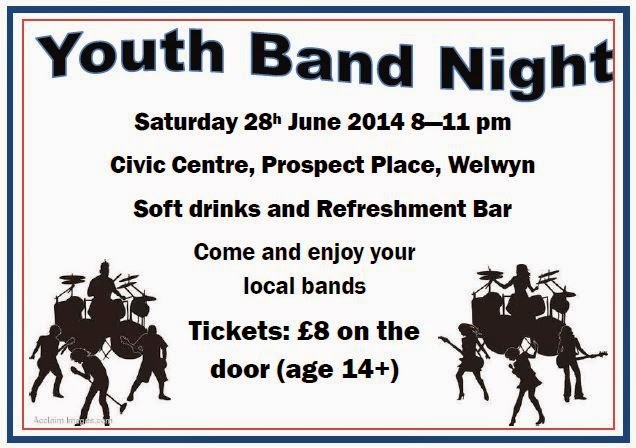 A LINE UP OF LOCAL YOUTH BANDS PLAYING FOR TEENS TO TWENTIES. Tickets £8 on the door. Support local talent and have a great evening! What's happening in Welwyn this week?